- The Park is raising a sapling to Earth Day on April 16 from 9am-2pm. They are welcoming volunteers to and hosting games and exhibits. You'll be planting, raking, digging, painting and all around beautifying the soon-to-be crown jewel of downtown Stamford. Exhibits include a River Habitats display with live animals in addition to other outdoor goodness like knot tying and fishing exhibits. To register, email vincent@millriverpark.com. - Everybody's a tree hugger once a year - on Arbor Day. 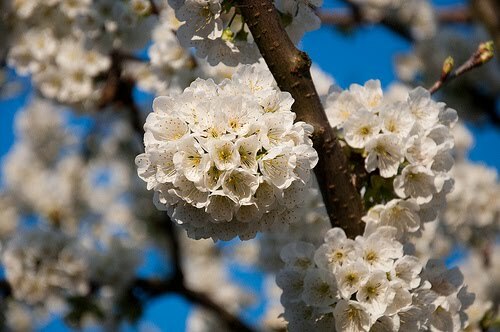 The Park celebrates on Friday, April 29 at 11:00am with the display of 29 Kwanzan cherry trees, the offspring of the original Mill River trees planted by Junzo Nojima. The trees have been loved, watered and loved some more in a nursery area of the Park (Main Street at Clinton Avenue). Trees are now 7 feet tall and should be ready to burst into bloom. See them now and visit again in a year when they'll be planted for real and for true. - Do you know Robin Stein? Robin is the engine behind the fabulous Mill River Playground, built in 2006. He helped coordinate the 1,500 volunteers who made the playground possible. Robin is retiring and you can help send him off in style on May 5th from 6-10pm at the Mill River Playground. Only 200 guests can attend, and tickets are $85. If you want to join, send your check to Marilyn Melfi, Mill River Collaborative, c/o Land Use Bureau, 888 Washington Blvd, Stamford 06904. - The circus is back in town! The Big Apple Circus returns with a brand new show, and you can see it in action on June 10 & 11 when ticket sales help benefit the Park. Learn more by visiting their website.